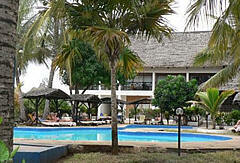 Southern Palms Beach Club is at the northern end of Diani Beach and has 298 rooms in three stories. There is a large pool, sports and conference facilities and nightly entertainment. 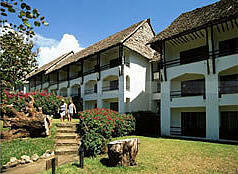 The Rooms have Swahili style decor and balconies facing the sea. 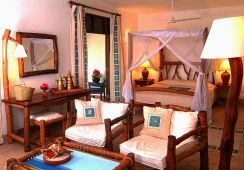 They also have air conditioning and an extra Lamu-style divan will add to the Swahili theme. Located 25km from Mombasa Island, the Graceland Tiwi Sea Castles Hotel is a little paradise of cottages on six acres of coastline. The 10 cottages with 70 beds between the m in single and double rooms and suites all have their own bathrooms and private verandas with a sea view. The hotel also has a large central swimming pool, which glistens like a clear aquamarine set against a backdrop of beautifully landscaped gardens. The main restaurant, built on a rocky cliff with a fantastic view over the Indian Ocean and naturally cooled by the offshore breeze, offers superb cuisine including regional Italian dishes and specialties. With a bar and grill on the beach front, a health bar, pizzeria, sports and recreational facilities, live music and other entertainment, the hotel offers travelers many desired amenities. This resort provides the perfect environment for holiday makers. All roms are spacious and very well-appointed, with either balconies or terraces. 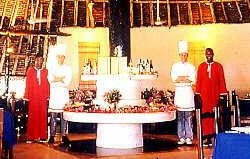 The dining provides an array of delectable local & exotic international cuisines. Two freshwater free form Swimming Pools, Conference Facilities. 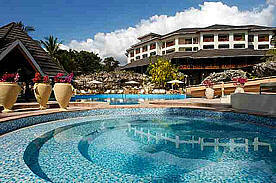 Leopard Beach Resort enjoys prime position on one of the world's most stunning beaches. Tropical gardens drop onto the white sandy s hores of the Indian Ocean below where waters are calm due to the coral barrier reef – a haven for divers. The resort offers a wide range of high quality accommodation, a choice of dining and entertainment venues – including the award winning ‘Chui Grill' – as well as extensive sporting and leisure facilities ranging fom diving to golf. Facilities: state-of-the-art conferencing make Leopard Beach the perfect venue to combine business with pleasure in a stunning location. 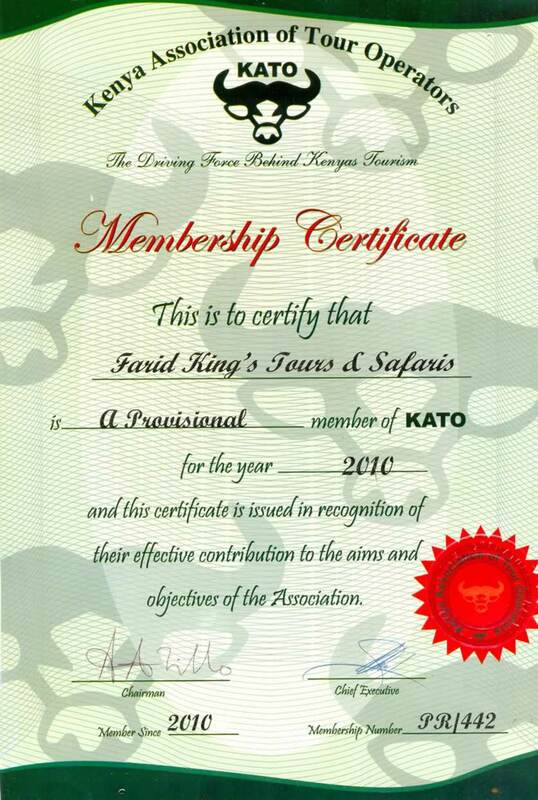 is located on Kenya’s legendary South Coast beach, the laid back Diani Beach curves u nspoiled along the clear turquoise blue waters of the Indian Ocean for 20 splendid kilometres. Draped in whites and fringed with flowing green palms and crowned in golden sunlight, this exotic destination provides the perfect backdrop for an international brand resort. Africana sea lodge is an exclusive all-Inclusive-provides every discerning traveller, from couples, single, families and groups seeking a life time beach experience. Africana sea lodge is set in beautiful grounds, the 160 air-conditioned rooms are designed in African style whitewashed thatched rondavels and each rondavel has two separate rooms, telephone, radio, a terrace and en suite bathroom with shower. Situated only 200 metres from one of the finest beaches in the world just 30 Km south of Mombasa in Kenya, Diani Palm Resort is a small family run hotel offering ideal accommodation for the independent traveller. 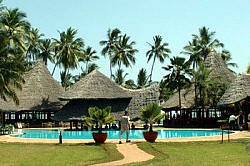 Golf, deep sea fishing, diving, sailing are all within easy reach of this most beautiful resort. The hotel setting is designed with romantic paths, cut into the rock, made with easy access to the beach and decorated with wild bougainvilleas and tall coconut trees. 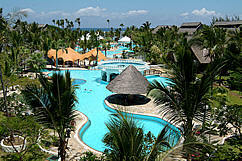 Leisure Lodge Beach and Golf Resort avails accommodation in 93 spacious rooms. Hotel accommodation is available in 141 renovated and redecorated double or twin rooms. All rooms have a balcony or terrace overlooking the beautifully landscaped gardens and pools. All rooms come with the following: bath and shower with two washbasins, hairdryer, satellite TV, comfortable sitting area, air-conditioning, mini-bar, safe deposit box, single and double beds, 240v square plug power supply telephone and separate restroom. Leisure Lodge Beach and Golf Resort Sports and Facilities include; Tennis court, Two combined pools with waterfalls, Beach volleyball, Table tennis, diving arrangements, Beach for football at low tides, 18-hole championship golf course, Sports massage and therapy. Ocean Village Club is located 35 km south of Mombasa City Centre on the magnificent South Coast of Mombasa on Diani Beach, famous for its vast and unrivalled white sandy beaches. Ocean Village Club is offers accommodation: in a total of 69 rooms: 28 of which are bungalows, 2 composed of 2 rooms, 19 bungalows of 3 rooms and 8 single rooms. All the rooms have air-conditioning and a central ceiling fan; En-suite bathrooms with bath/shower and separate toilet, Verandah, Mini-bar, and Direct dial telephone, Hair dryer and Safety deposit. Pinewood Village resort is situated on spectacular Galu Beach, The Village, comprises of 20 spacious 2/3 bedroom self-contained villas beautifully decorated in true ‘African’ style. Sympathetic facilities for the disabled and for that unique touch, in the suites your own private chef is in attendance. Neptune Paradise Village Resort is located 32km south of Mombasa, the Paradise village boasts 25 acres of landscaped gardens which stretch down to one of the most spectacular beaches in East Africa. The 259 fully air-conditioned standard and superior rooms are organized into quaint cottages, each with their own private balcony. 4 restaurants and 6 bars provide exquisite dining and cool cocktails. For sports and entertainment there are 4 fresh water pools as well as tennis courts, putting greens, bowling lawns, hair dressing and massage parlours. Scuba diving, windsurfing, snorkelling, jet skiing and deep sea fishing are available on the beach wide there to an 18-hole golf course nearby. The Baobab Resort is a very spacious resort has been extensively renovated and is today Kenya’s leading “all inclusive” hotel. This Mombas's South caost hotel nestles majestically on top of a coral cliff with breathtaking panoramic views and blooming vegetation extending into large tropical gardens dropping onto the white, sandy shores of the Indian Ocean. It is located on Kenya’s famous Diani Beach on the south coast, a mere 38 kilometers or an hour’s scenic drive from the bustling harbour city of Mombasa. Fact Sheet This resort features Maridadi Wing, with 36 superior, 8 deluxe rooms and 12 deluxe bungalow rooms. Maridadi cascading Swimming Pool with three pools interconnected with water falls. 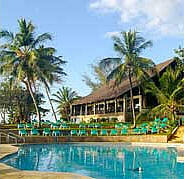 Maridadi Restaurant for light lunch and Asian buffet dinner overlooking the Diani beach. 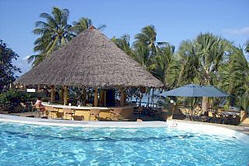 Jambo Pool Bar with on one side seats in the pool and on the other seating facilities overlooking the beach. 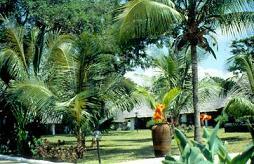 Swahili Lounge overlooking the famous The Baobab gardens and the beach. Porini Amphitheatre with the Porini openair Disco. Porini Conference Room for up to 120 guests. Afya Bora Wellness Club & Spa with steam bath, hydro bath, Vichy shower and two air conditioned treatment rooms. 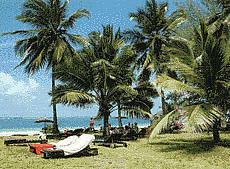 The Diani Sea Lodge is located on Diani Beach, South Coast Mombasa, Kenya. If you're looking for a place where exotic meets intimate, the Diani Sea Lodge hits the nail right on the head. 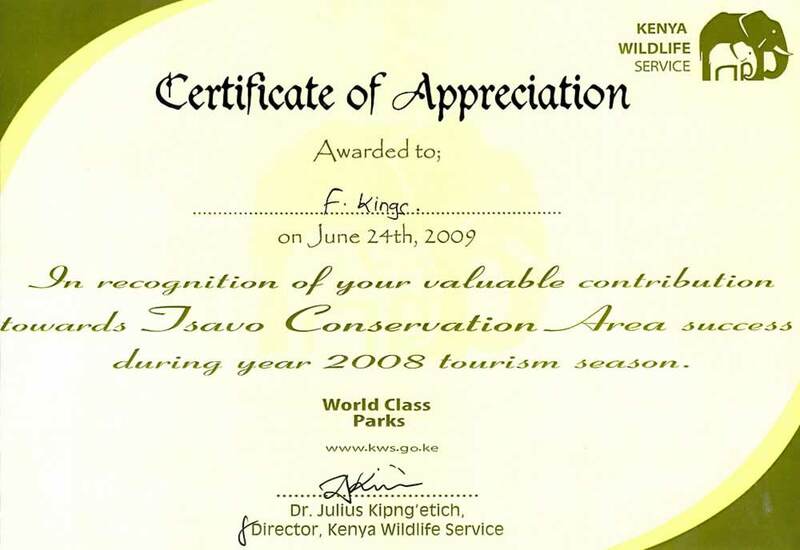 You couldn?t find a more perfect spot to tuck yourself away and soak up Kenya?s shimmering sunshine. Slap bang on a sweeping stretch of glittering sands that sink in to turquoise waters, and experience the tranquil beach life up close and personal. -Superior room with twin beds or 1 double bed.